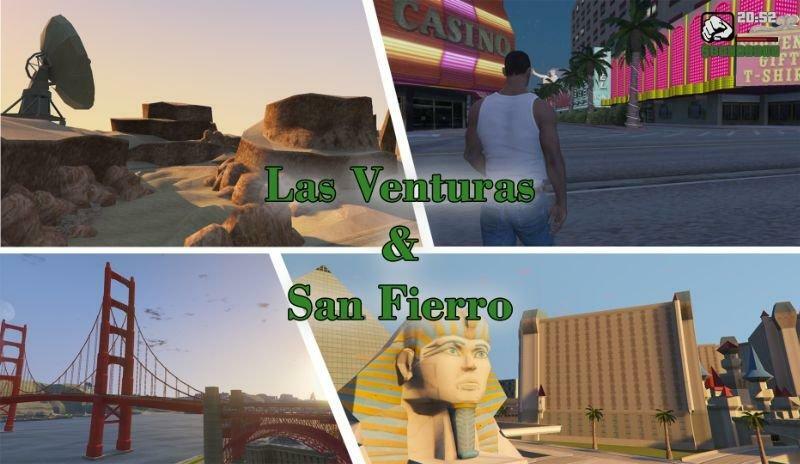 As stated, ArthurLopes' version of San Fierro is awesome to me. It was the first GTA: San Andreas DLC map mod for GTA V if I am correct. Though, I thought I really missed the countrysides and of course Las Venturas. I did decide to make my own GTA San Andreas map mod as a DLC for GTA 5.
to GTA IV, and I hope they don't see my GTA V version as a problem.